Located on the waterfront of Lake Erie in beautiful Leamington Ontario and only a few minutes from Point Pelee National Park. Point Pelee National Park is world renowned for it's bird watching and monarch butterfly migration. Also enjoy canoeing, kayaking, hiking, biking, endless beaches, picnic areas/pavillions and boardwalks. Three restaurants within walking distance and wine tours available from local wineries including Pelee Island Winery, Colio Estates Winery, Aleksander Estates Winery, Mastronardi Estates Winery and many more. Short drive to Erie Shores Golf course, Kingsville Golf and Country Club, Orchard View Golf Course, Talbot trail, Jack Miner's Bird Sanctuary and Colasanti's Tropical Gardens. The town of Leamington is less than 5 mins away and provides local shopping, groceries, movie theatre, various restaraunts and a hospital. The Sherk Recreational Complex and Arena has an indoor salt water swimming pool, indoor running track and gym along with 2 ice rinks. Fishing charters available as Lake Erie is well know for it's sport fishing. Boat launching available at 2 marinas less than 5 mins away including Leamington Municipal Marina and Towle Harbour. Also 45 mins from Windsor Casino, Windsor Raceway, and all Detroit sporting events. 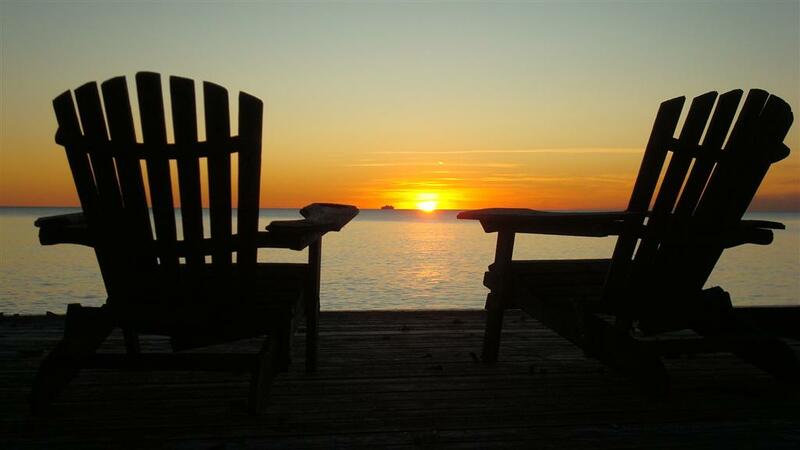 Enjoy fresh fruits and vegetables from local road side stands, relax and BBQ on the back deck overlooking Lake Erie.